As a leading college of nursing, we are privileged to educate, collaborate and practice with the best and brightest in the industry. Our goal is to prepare 21st-century nurses to address the health care needs of local and global communities through excellence in research, education, and clinical care. Select your program of interest to learn the steps in the application process. 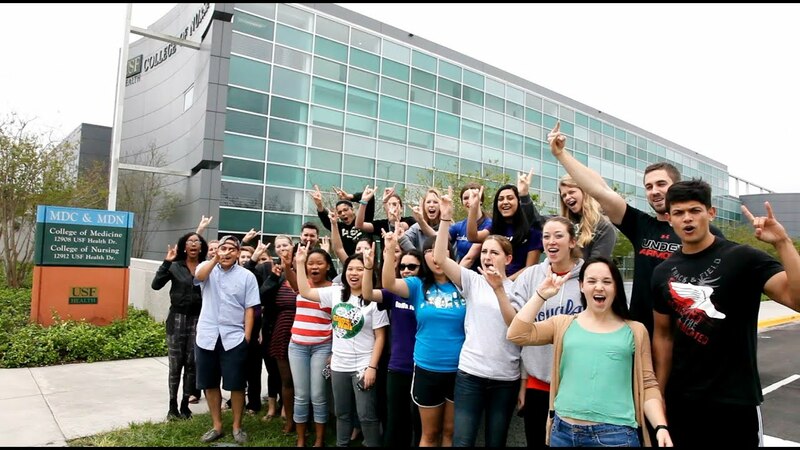 At the USF College of Nursing, we'll help you get started on the journey toward your future. Our dedicated faculty and academic advisors can guide you in planning a clear path for your journey. Whether your career goals involve clinical, advanced practice, research, education, and/or leadership, we offer programs that will support you in becoming a nursing leader of tomorrow. USF College of Nursing offers several programs available to help undergraduate students earn a Bachelor of Science. Are you a Veteran? Check out the Veteran to Bachelor's (V-CARE) program. USF College of Nursing provides various paths to earning a graduate level degree. Interested students are able to earn a master's, DNP or PhD. The one-of-a-kind Registered Nurse to Bachelor of Science in Nursing program is developed for today’s registered nurse. It allows practicing nurses the opportunity to build a degree based on the nurse's career needs. The USF nurse can focus on leadership/management, patient/staff education and/or clinical excellence. The Graduate Certificate in Advanced Pain Management prepares nurses to address pain concepts beyond traditional views of interpretation and modulation of nociceptive impulses. Not sure what path you want to follow? These options are for students who wish to concentrate on a selected area of study and/or are not seeking a degree at the moment. See all that we have to offer for students within USF Health, our “city within a city” and the beautiful Tampa Bay area. The University of South Florida, USF Health and the Tampa Bay area has a lot to offer no matter your background or interests. There is something for you! The nurse anesthesia program at USF has prepared me to be a compassionate, competent, creative, and innovative anesthesia provider. The supportive faculty have let me know time and again they are invested in my success. I am thankful for the opportunity to learn from some amazingly skilled and knowledgeable CRNAs who have helped me to grow into an anesthesia provider who can positively impact the future of anesthesia care in the Tampa Bay community and beyond.